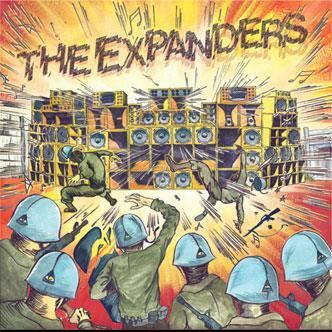 The Expanders began playing reggae music together in the summer of 2003, and today are one of the most respected and hardest working reggae bands in Southern California. They have come to be known for their vintage “rockers” style of reggae, played in the tradition of classic 1970s Jamaican groups like The Ethiopians, Culture, The Mighty Diamonds, etc. Their music emphasizes three-part vocal harmonies and strong song writing. In addition to performing their own original material and rare Jamaican scorchers, since 2006 The Expanders have been the backing band of choice for legendary Jamaican singers when they come to California to perform,having backed such classic artists as Alton Ellis, The Maytones, TheEthiopians, The Wailing Souls, and many more. For two years in a row they were featured at the Sierra Nevada World Music Festival in Mendocino County, where their performances were praised in “The Beat” magazine as having recreated “the old classic Kingston rocksteady sound to a T”. They have been frequent guests on SoCal radio shows such as “Reggae Central w/ Chuck Foster” (90.7 fm) and “The Reggae Show w/ Junior Francis” (88.9 fm). In addition to playing in The Expanders, several members of the band also play in Hepcat, The Lions, Chris Murray Combo, See Spot and Boogaloo Assassins.